Great writeup, I really resonated with a lot of it. I almost see creator vs created as the same way. It's just another false dichotomy. The universe is what's happening, I think ascribing a notion of inherent consciousness to it or seeing it as a cold self-perpetuating mechanical scientific process... they're both right in their own way. I think hylozoism is the way forward to merge these two perspectives. If we consider the universe itself to contain consciousness in the same way it contains mass, then we can imagine just like mass there are some collections of consciousness and organization (or "negentropy", if you're familiar with that term) that are larger than others. So god is of this order, and in that sense god is real. But simultaneously I see no need to invoke the supernatural. Entropy vs negentropy is a more real dichotomy, and I think many interpret negentropy as god and entropy as satan because it's easy to understand in that narrative wrapper as it anthropomorphizes the universe. 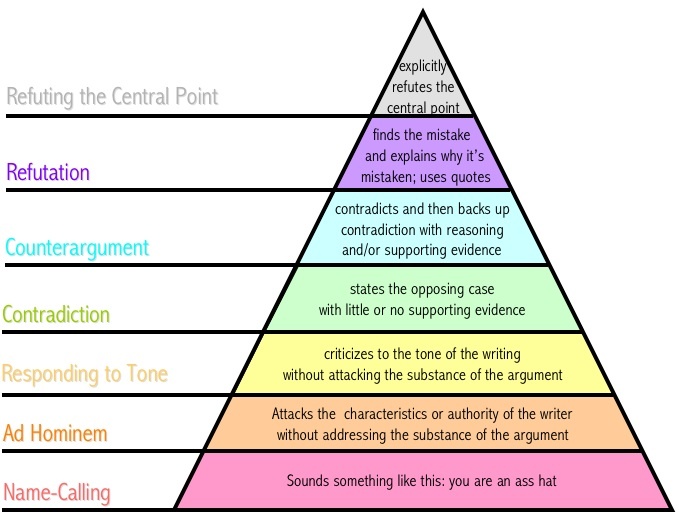 This battle is everywhere, even the basis of this site is the pyramid of debate, which itself is based on negentropy and the highest organization of the information that is possible given the circumstances. If we stop drawing a divide between "god" and "the universe" then we can see they are the same. The only difference is the question: Does the universe have a universe-sized mind or not? This would be "god" to me. We can plainly see that matter works toward negentropy, because of the fact animals and plants and molecules exist. Matter seeking ever-higher organization is inherent to the behavior of the matter in the universe itself from the atomic level to the level of a human brain and beyond. There will always be localized pockets tending towards negentropy (despite the universe itself always trending toward entropy as a whole) and it seems to imply there is consciousness possible at every scale of size and complexity, and is always developing and expressing itself. If you were an enlightened ant, would you be able to recognize an enlightened human being from a dumb one? Is 250,000 neurons enough to be able to recognize the subtleties of an 80 billion neuron system? Would we recognize god if it was right in front of us? What if a solar system is just a neuron to god? Can a bacteria living in one of my neurons recognize the negentropy in this article I'm writing right now? Could we recognize if we were inside the neuron of a benevolent or evil higher being? Or are we simply lacking the complexity and sophistication to even sense it? Different scales of organization pass each other like ships in the night. It is so hard to wrap our heads around. It seems like we are caught in an endless parade of dichotomies as ideologies that end up being false once thoroughly explored. It seems like the modern human journey to tread this path of narratives fed to us by culture. I guess it's just the failure of the human brain to over-value dichotomies as explanations. This probably has to do with the 2 halves of our brain that "fight" to hash out what the best understanding is across the corpus collosum that bridges the two halves. Then once one side wins, we have to find a new dichotomy to play with. Then when we find one that engages both halves again, we have a "revelation" and we "see the world in a new light". We've all had this, many times in our lives. And each time we think we finally have the real answer, lol. Although we slowly get wiser through our experience in our search for organization of ideas and negentropy, in the end we are just children playing.